Rodion Romanovitch Raskolnikov The main character who is alternately called Rodya, Rodenka, and Rodka. Avdotya Romanovna Raskolnikov Rodya's sister, alternately called Dounia. Pulcheria Alexandrovna Raskolnikov Rodya's mother. Semyon Zakharovitch Marmeladov A drunkard who figures prominently in a bar conversation with Raskolnikov. Katerina Ivanovna The wife of Marmeladov. Sofya Semyonovna Marmeladov Marmeladov's daughter and devoted step-daughter of Katerina Ivanovna, who prostitutes herself and later falls in love with Raskolnikov. Also called Sonia. Arkady Ivanovitch Svidrigaïlov Dounia's former employer who arrives in St. Petersburg. Marfa Petrovna Svidrigaïlov's wife who dies and leaves Dounia a bundle of needed money. Pyotr Petrovich Luzhin A rich man who thinks he can buy happiness for Dounia, his love. His name, comically, means "puddle." Dimitri Prokofitch Razhumikin Raskolnikov's best friend and guardian of Dounia. Andrei Semyonovitch Lebeziatnikov A tenant in the same building as the Marmeladovs and a liberal. Porfiry Petrovich The overseeing police officer on Raskolnikov's case. Alyona Ivanovna The moneylender who Raskolnikov murders. Lizaveta Ivanovna The simple-minded sister of Alyona and a friend of Sonya. Praskovya Pavlovna Raskolnikov's complaining landlady who is owed back-rent. 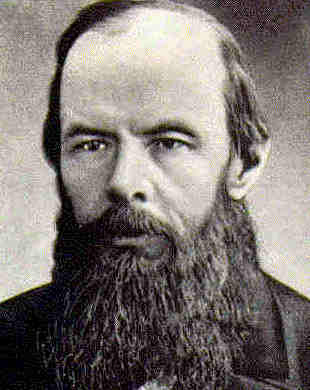 Nastasya Praskovya's servant and a friend of Raskolnikov. Amalia Fyodorovna The Marmeladov's landlady who causes a big scandalous fight at a dinner party. Zossimov A friend of Razhumikin and a doctor who cared for Raskolnikov. 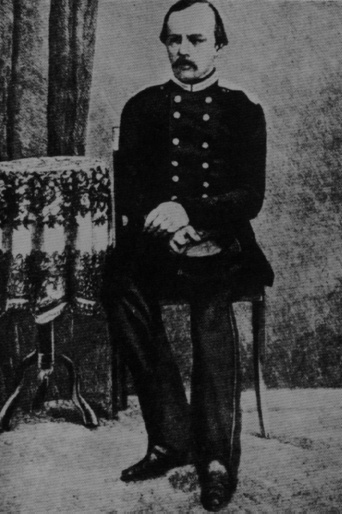 Nikodim Fomitch Chief of the police. Zametov A clerk in the police station and a fiend of Razhumikin. Ilya Petrovitch A police official. Nikolay and Dimitri The painters, one of whom admits to the crime. The reader is introduced to Rodion Romanovitch Raskolnikov, a handsome young student. He is hopelessly in debt to his landlady. He is going to see a pawnbroker and is obsessed with not running into anyone on the way. Raskolnikov is in the process of planning the murder of Alyona Ivanovna, the pawnbroker. The thought of the crime disgusts him, but he continues to plan. After leaving Alyona Ivanovna�s, he enters a tavern. Raskolnikov meets Semyon Zakharovitch Marmeladov, a drunken clerk, in the tavern. Marmeladov tells Raskolnikov that he had previously lost his position because of his alcoholism before being reinstated. He mentions how his wife was beaten a month earlier by Mr. Lebeziatnikov. Five days earlier, Marmeladov took all of the family�s money and left home, squandering it on alcohol. He is afraid to go home and face his wife, Katerina Ivanovna. Their eldest daughter, Sofya Semyonovna (Sonia), has been forced into prostitution to raise money for her destitute family. Marmeladov is convinced that God will forgive Sonia. Raskolnikov leads Marmeladov home and sees the horrible condition of his family. Although he is in desperate need of money himself, Raskolnikov silently leaves some money on the windowsill. He immediately wishes he hadn�t given the money away, but does not take it back. The reader is introduced to Raskolnikov�s cramped quarters. His living conditions disgust him but they keep him isolated, which he desires. Raskolnikov, a former student, used to support himself by teaching children. His maid, Nastasya, tells him that his landlady, Praskovya Pavlovna, is going to file a complaint with the police because he has not paid his back rent. He receives a letter from his mother, Pulcheria Alexandrovna, about his sister, Avdotya Romanovna (Dounia). Dounia worked as a tutor for the Svidrigaïlovs. Arkady Ivanovitch Svidrigaïlov tried to seduce Dounia, who rejected him. However, Svdrigailov�s wife, Marfa Petrovna, overheard their conversations and spread disgraceful rumors about Dounia throughout town. Once she realized her error, she went door-to-door to explain the situation and restore Dounia�s reputation. She introduces Dounia to Pyotr Petrovich Luzhin, who wants an honorable wife without a dowry so that she will feel indebted to him. Pulcheria Alexandrovna writes that the marriage will take place in St. Petersburg, and she and Dounia will be arriving in town soon. She wants Raskolnikov to become Luzhin�s law associate or partner. She writes that she hopes Raskolnikov is still saying his prayers. Raskolnikov is angered by the news, adding to his anxiety. Raskolnikov decides that he must break off Dounia�s wedding. He is angry that his mother is pinning all of her hopes on Luzhin, and Raskolnikov thinks Dounia only agreed to the marriage to save him and their mother. He thinks Dounia�s �sacrifice� is on the same level as Sonia�s. While walking down the street he sees a drunk, fifteen-year old girl being followed by a base-looking man. Raskolnikov enlists a policeman to help him protect the girl, and then offers the last of his money to call a cab for her. He suddenly has a change of heart, however, and tells the policeman to leave them alone. Raskolnikov has very few friends from the university, since most people thought he looked down upon them, but he is still on good terms with Razhumikin, who is also currently out of school but is saving money to go back. Raskolnikov decides to visit Razhumikin. Raskolnikov decides to delay his visit to Razhumikin until after his finishes the murder. He has a dream about his childhood. In the dream, he is seven years old and is going with his father to visit his mother�s grave. They encounter a mob of drunken peasants surrounding a wagon filled with people. The old horse hitched in front of the wagon is unable to pull it and is being beaten by its owner. The man whips the horse in the eyes and bludgeons it with a crowbar, killing it. Raskolnikov thinks this is a sign about his plan to murder Alyona Ivanovna. He prays for the dream to be renounced and feels free from it. He continues to plan the murder, finding out when Lizaveta Ivanovna, Alyona Ivanovna�s sister, will be out of the apartment, leaving the pawnbroker alone. Raskolnikov remembers a conversation where students discuss killing Alyona Ivanovna and using her money to help people, figuring that thousands of good deeds outweigh one crime and that she has done nothing but bad deeds for society. Raskolnikov makes his final preparations for the murder. He feels that criminals get caught because of a �disease of will� that causes them to lose their reason, and is confident that he will not be so afflicted. He has also convinced himself that this is not a crime. He does not arrive at Alyona Ivanovna�s apartment until seven-thirty, one half-hour after he had planned. Despite his conviction, he is in a frenzy when he reaches the apartment. Raskolnikov commits the murder. He strikes Alyona Ivanovna twice in the head with the blunt side of an ax, killing her. He stands still trembling after the murder before finally searching for her keys and trying to find the money. Lizaveta returns, and in his panic Raskolnikov splits her skull with one blow from the sharp side of the ax. After this, he is unconscious in his delirium. He deliberately attempts to clean the ax and his clothing. As he is ready to leave, two visitors ring the doorbell. Realizing that the door is locked from the inside, they leave to get help, allowing Raskolnikov to escape. He falls asleep almost immediately after returning home. Raskolnikov is furious with himself for not locking his door and hiding the few things he stole, thinking that he will be discovered. Nastasya comes into his room with a police officer, giving him a summons to appear at the police station. Raskolnikov thinks the summons is a trick to get him to confess, and he wonders if he should or not. He feels unencumbered because of his crime and mocks the assistant superintendent at the station. Raskolnikov signs an IOU for the 115 roubles he owes his landlady. As he leaves he overhears a conversation about the murders and passes out. After awakening, he is terrified that the police will suspect him of being the murderer. Raskolnikov decides to hide the stolen loot under a large rock. His delirium is clearly affecting his actions, and he feels an �almost unbearable joy� after successfully hiding the goods. Raskolnikov goes to visit Razhumikin and almost immediately regrets it. Razhumikin offers Raskolnikov a translating job, but he refuses it. Raskolnikov is almost run over by a coach on his way home and is given money by an old woman who believes he�s a beggar. Raskolnikov throws the money away. When he returns home he believes he hears Ilya Petrovich, a police officer, beating his landlady. Nastasya tells him that it never happened and realizes that he is sick. He soon collapses into unconsciousness. Raskolnikov is suffering from a fever and had forgotten about the murder. A man comes to see Raskolnikov with 35 roubles from his mother. He initially refuses it, but Razhumikin, who has been taking care of him, convinces him to accept it. Raskolnikov is not sure that he�s fully conscious and decides to play possum until he knows the full situation. He is afraid that Razhumikin and the others know he is guilty, and considers escaping to America. Razhumikin shows him that he has recovered the IOU and tears it up, then leaves to buy Raskolnikov some new clothes. The doctor, Zossimov, and the investigator, Porfiry Petrovich, come to see Raskolnikov. Zossimov and Razhumikin discuss the murder, and Raskolnikov learns that the painters at the building have been accused. Razhumikin has most of the truth sorted out, except for the fact that Raskolnikov is the murderer. Zossimov rejects his story as melodramatic. Raskolnikov is excited by the conversation. Zossimov recognizes this, but misinterprets is as a sign of recovery from his illness. Luzhin comes to see Raskolnikov. Raskolnikov openly dislikes him, but Luzhin tries rather unsuccessfully to ignore it. Luzhin is staying with Lebeziatnikov and has made poor living arrangements for Dounia and Pulcheria Alexandrovna. The conversation turns to the murders and Raskolnikov learns that all people who had left pledges with the pawnbroker will be examined. Razhumikin comments that the murderer must have been a novice who escaped by luck. Raskolnikov accuses Luzhin of only wanting Dounia to feel indebted to him, causing Luzhin to accuse Pulcheria Alexandrovna of misrepresenting him. Raskolnikov threatens Luzhin with violence if he ever mentions his mother again. Luzhin declares that he has been irrevocably offended. Razhumikin and Zossimov notice that Raskolnikov seems to care only about the murders. Raskolnikov leaves his apartment despite his illness. He decides that life, no matter how poor, is better than death, ending for the time his thoughts of suicide. He goes to a restaurant, the Palais de Cristal, and asks for the newspapers from the past five days. While reading the newspapers he meets Zametov, a police officer and friend of Razhumikin. Raskolnikov taunts Zametov by saying he only came to read about the murders. Zametov insinuates that an amateur must have committed the murders, angering Raskolnikov. Raskolnikov then lays out his plan for the perfect execution of the murder and theft, the way he actually did it. He asks Zametov what he would think if Raskolnikov had been the murderer. Zametov is momentarily frightened but decides it couldn�t be true. After leaving the restaurant Raskolnikov meets Razhumikin and tells him to leave him alone. He goes to a bridge and sees a woman attempt to drown herself. He realizes that he was about to attempt the same thing and decides that it is not a good enough death for him. He returns to the site of the murders and asks questions of the workmen repairing it. He is obviously still somewhat delirious. Raskolnikov then resolves to confess to the police and starts to go to the police station. Raskolnikov comes across Marmeladov while on his way to the police station. Marmeladov has been run over by a carriage, having drunkenly stumbled in front of it. Raskolnikov brings him back to his apartment and calls for a doctor. Sonia comes in dressed as a prostitute, and Marmeladov, after trying to make apologies to his family, dies in her arms. Raskolnikov gives Katerina Ivanovna twenty roubles and asks Polenka, the younger daughter, to pray for him. Raskolnikov is in high spirits, convinced that he still has life in him. Zossimov believes that Raskolnikov may be insane. Raskolnikov returns home to find his mother and sister waiting for him. Raskolnikov declares that he will not allow Dounia and Luzhin�s wedding to take place. Zossimov tells Pulcheria Alexandrovna that Raskolnikov will be fine but that �fresh shocks� must be avoided. Dounia and Pulcheria Alexandrovna are thankful to Razhumikin for his help taking care of Raskolnikov. Both Razhumikin and Zossimov are attracted to Dounia. Razhumikin is upset with himself for playing to Dounia�s emotions. Zossimov says that Raskolnikov is a �monomaniac,� not insane, and that he is satisfied with Raskolnikov�s progress. Razhumikin goes to visit Dounia and Pulcheria Alexandrovna and is surprised that Dounia is not angry with him. He tells them about Raskolnikov�s life for the past two years. They show him a letter from Luzhin requesting that Raskolnikov not be present at their first meeting. Dounia and Pulcheria Alexandrovna go to visit Raskolnikov. He feigns sentimentality, but Dounia sees through it. Pulcheria Alexandrovna is strangely afraid of her son. Raskolnikov realizes that his mother is becoming timid. Raskolnikov is in a state of despair because he realizes he can never speak freely again without revealing his crime. Raskolnikov believes Dounia is selling herself for money and lays down an ultimatum: it�s either him or Luzhin. Raskolnikov and Razhumikin will be present at the meeting with Luzhin. Sonia comes to Raskolnikov�s apartment to ask him to come to her father�s funeral. She becomes embarrassed because she realizes Raskolnikov must have given them all of his money. 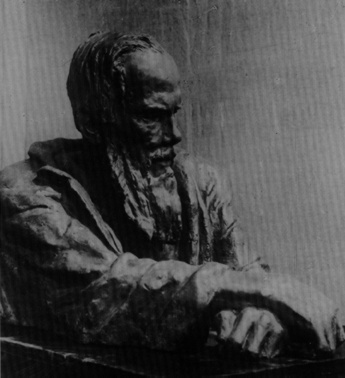 Pulcheria Alexandrovna says that Dounia and Raskolnikov are much alike. Dounia shows her anger towards Luzhin�s attack on her mother, referring to him as a �contemptible slanderer.� Raskolnikov tells Razhumikin that he wants to get his pawned goods back. Dounia and Pulcheria Alexandrovna leave. Raskolnikov tells Razhumikin that he wants to speak with Porfiry. Sonia leaves and a man follows her back to her place. Raskolnikov goes with Razhumikin to see Porfiry and mocks him for blushing in front of Dounia. Porfiry tells Raskolnikov that he is the only pledger who has yet to come forward. Porfiry subtly lets Raskolnikov know that he knows the details of his life over the previous few days. He asks Raskolnikov about an article he wrote about crime. In this article, Raskolnikov wrote that crime is accompanied by illness. He believes there is a distinction between ordinary and extraordinary men; ordinary men must obey the law, but extraordinary men can find sanction to break it under certain circumstances. There are very few such men. In the article, Raskolnikov sanctions �bloodshed by conscience.� Porfiry thinks Raskolnikov might believe himself to be an extraordinary man. Raskolnikov says that he does believe in God and in Lazarus� resurrection. Porfiry tries to trick Raskolnikov by asking him if he saw painters when he went to see the pawnbroker. Raskolnikov says he says people moving out and that the painters were there the day of the murder. Raskolnikov says he had not been at the apartment since a few days prior to the murder. Raskolnikov and Razhumikin discuss Raskolnikov�s discussion with Porfiry. Raskolnikov returns to his apartment to make sure he didn�t leave any evidence behind. As he leaves, a stranger approaches him in the street and tells him that he knows Raskolnikov is the murderer. Raskolnikov reassures himself by claiming he killed a principle, not a person. He returns to his room and falls asleep. He has a dream in which he repeatedly strikes the pawnbroker with his ax but she only laughs at him and does not die. When he awakens, Svidrigaïlov is standing in the doorway. In this chapter, readers are introduced to Svidrigaïlov, the most literary character in the novel. Svidrigaïlov is that extraordinary man that Raskolnikov wanted to become. He appears as the person who is capable of killing without moral pangs. A sadist, a murderer, an abuser from one side, he, later in the novel, demonstrates some random acts of kindness, like saving Marmeladov�s children. In the Raskolnikov-Svidrigaïlov conversation, both men show great similarities in their thinking. Svidrigaïlov came to St. Petersburg because of Dounia. He offers to pay her 10000 rubles so that she wouldn�t marry Luzhin. He also claims that this is the act of kindness and does not carry any motif. After all, he is planning to get married very soon. In this chapter, the setting takes place in the rooms of Raskolnikov�s mother and sister. During the night the confrontation between Dounia and Luzhin occurs. Luzhin shows himself in the different light; and Dounia, realizing the mistake she made in her judgment of this individual, asks her fiancée to leave forever. Here, the readers are also shown the noble character of Razhumikin and his desire to defend Dounia at all costs. His fascination with her continues to be seen in the novel. In this chapter, Raskolnikov�s inner struggle continues. He leaves his family to Razhumikin, giving him full responsibility for their care. Razhumikin dreams to start a publishing business with Dounia and her brother. He is determined to be close and loyal to them. Raskolnikov knows that he has found the right man to pass his family to. Raskolnikov leaves his family and goes immediately to Sonya's house. His mean-spirited taunting of Sonia in this part reminds the reader of an earlier work by Dostoevsky, The Underground Man. This is the religious part of the novel, where Sonia's faith is emphasized. He has her read the raising of Lazarus from the New Testament in a Bible that Lizaveta gave her. Then they agree to go together and take suffering on themselves. Raskolnikov tells her that he knows who committed the murder. Svidrigaïlov is listening through the door of a neighboring flat. In this chapter the second duel of minds occurs between Raskolnikov and Porfiry. The detective meets his man with warm welcome calling him batiushka (dear little father). He stretches his hands to Raskolnikov but does not shake them. Then, the long conversation occurs where Porfiry using all his talent of psychologist and wit tries to provoke Raskolnikov to confess his crime. The detective does not have any substantial evidence but only the feeling that he found his murderer. He almost succeeds in his task, but is interrupted by the unexpected denouncement. In the middle of the above conversation, Nikolay, a house painter at Lizaveta�s and Alyona Ivanovna�s house, suddenly appears at the door and confesses of the murder. Both Raskolnikov and Porfiry are in shock. None of them expected such a turn of events. Raskolnikov is saved for some time. In this chapter, Raskolnikov also discovers that the witness Porfiry had was the man he met on the street that accused him of spilling blood. Raskolnikov realizes that detective does not have anything on him and was bluffing all the way. He decides to continue the fight. In this chapter, readers are more closely introduced to Lebeziatnikov, a funny intellectual who parrots the socialist ideas but betrays them himself in his life. Also here, the meeting between Luzhin and Sonia occurs where Luzhin gives 10 rubles to Marmeladov�s family. Lebeziatnikov witnesses the scene and compliments Luzhin on his act of kindness. He saw that Luzhin put something additional in Sonia�s pocket and amazed at his generosity. Lebeziatnikov is not aware of Luzhin�s plan to humiliate Sonia and provoke a scandal that will occur in the later chapter. The chapter provides outrageous comic relief. Katerina Ivanovna has a funeral banquet to honor her dead husband. She makes the mistake of inviting everybody to the dinner, but not being happy with the guests that showed up. She feels insulted by the banquet and demands appreciation to her good heritage from everybody. In the end she gets into a horrible fight with her landlady. There is the scandal scene in which Luzhin accuses Sonia of stealing his 100 rubles. He gets caught in the act by Lebeziatnikov who refuses to testify on his behalf and proves Sonia�s innocence. Luzhin leaves in disgrace. On his way out the door, a goblet narrowly misses his head and hits the landlady. Her response is to evict Katerina from the building. Raskolnikov confesses about his crime to Sonia. She is shocked but promises to follow him to Siberia. Sonya asks him to ask for forgiveness of his sins, but he refuses to do so, as he refuses to accept her cypress cross. However, Sonia leaves her door open for him to come back and except his life of suffering. The conversation is overheard by Svidrigaïlov. In this chapter, Lebeziatnikov tells Sonya what she already knew from Raskolnikov, that Katerina Ivanovna and her children are on the streets. Sonia rushes to her family and finds her mother and siblings singing, dancing for the crowd and begging for money. Katerina Ivanovna loses her mind and collapses. When taken to Sonia�s apartment she says her last words and dies. Svidrigaïlov offers to help with the funeral and the future of Marmeladov�s children. He decides to pay for their care in the orphanage house. Also here, Raskolnikov�s inner struggle continues. He meets with Dounia and encourages her to stay with Razhumikin, while saying �good bye� to her himself. At the end of the chapter, Raskolnikov is also witnessing Katerina�s death. At the scene he learns that Svidrigaïlov knows his little secret. In this chapter, Raskolnikov again asks his friend, Razhumikin, to look after Dounia and his mother. From Razhumikin, the readers also learn that Dounia received a letter from Svidrigaïlov and soon left the house. Upon Razhumikin�s leaving, Raskolnikov gets another visitor, Porfiry. Significantly, Raskolnikov no longer feels nervous around him. In this chapter, Porfiry opens up all of his cards. Again using the methods of his psychology, the smart detective explains to Raskolnikov why the two painters, Nikolay and Dimitri, could not have committed the crime and why it was only he, Raskolnikov, who could. Porfiry offers him to confess the murder on his own will and tells him that he is not afraid of Raskolnikov trying to escape. After the talk with the detective, Raskolnikov runs to see Svidrigaïlov, to hear something new from him. He finds his man in the tavern, drinking and partying with the prostitute. Raskolnikov threatens Svidrigaïlov not to see his sister, but the man seemed not to take his words into consideration. Here, readers gain a deeper insight in Svidrigaïlov�s character and get the first foreshadowing on his suicide. �I like all children. I like them very much,� laughed Svidrigaïlov. The conversation between Raskolnikov and Svidrigaïlov continues. Here, the reader sees the whole nasty and horrible nature of the man with all his sexual appetites. Svidrigaïlov tells Raskolnikov about his life, his marriage to Marfa Petrovna and their agreement, about Dounia�s appearance in his house and his fascination with her. Svidrigaïlov describes the whole scandal related to Dounia and its happy ending for Raskolnikov�s sister. Then he talks about his soon marriage to a sixteen year old and his fascination with children. This narrative clearly shows the perverted side to Svidrigaïlov�s character and the danger he presents for women and children. It also becomes obvious that he is still obsessed with Dounia and not about to give up on her. In this chapter, the most evil, scandalous scene occurs between Dounia and Svidrigaïlov. They meet on the street, and Svidrigaïlov tricks Dounia into coming to his apartment. There he tells her that he knows that her brother has committed all those murders and tries to black mail her with this information. Svidrigaïlov asks Dounia to be his and in return he would protect her brother and her mother from unnecessary problems. Insulted by the whole situation Dounia tries to leave and discovers that Svidrigaïlov has locked the door and that there is no one in the house except the two of them. Seeing that the man is very serious about his intentions, Dounia grabs Svidrigaïlov�s gun and shoots him twice, but misses. The third time, she is at the very close range, however feels that she has no strength to kill a person. Svidrigaïlov embraces her and realizing that there is no hope that this woman would even care for him a little bit, he gives her the key and lets her go. At the end it becomes clear that he truly loves Dounia and that this love will be his executioner. In this chapter, Svidrigaïlov gives money to Sonia for her trip to Siberia with Raskolnikov. Then, Svidrigaïlov dreams a perverse sexual dream with the five-year-old girl. After, he makes his decision to shoot himself and shortly acts on it. Here, Raskolnikov visits his mother asking her to pray for him and warning her about his soon departure. Then he talks to his sister about suffering and confessing the crime. He wishes her �good bye� and leaves to Sonia�s. It is obvious that Raskolnikov, deep down his soul, decided to confess his crime. In this chapter, Raskolnikov accepts Sonia�s cross. Both of them begin their way of suffering and obedience. He goes and asks forgiveness from God and people at the crossroads, and then enters the police station to confess his crime. Sonia follows him all the way. Raskolnikov is sentenced to eight years in Siberia and Sonia goes with him. Two months after Raskolnikov's trial, Razhumikin marries Dounia. The mother dies. Raskolnikov is, at first, an aloof prisoner, but then after Sonia�s illness he realizes his love for her. Thus the book ends. Trace the psychological progress of Raskolnikov's mind from the planning stages of the murder through the final realization of love. Delineate the superior man argument and evaluate Raskolnikov by the theory. Consider the different dreams throughout the novel and decide what functional role they fulfill. Explore the religious and biblical themes in the novel, especially the story of Lazarus that Sonia reads to Raskolnikov. Compare and contrast Svidrigailov with Raskolnikov-- How are they paralleled and opposed? How does Svidrigailov fit into the extraordinary man theory? Why does Svidrigailov commit suicide? Decide how you feel about his character. What role does suffering have in the characters and in the novel? How does each character suffer and feel about suffering? Who suffers the greatest in Crime and Punishment? The crime in Crime and Punishment occurs very early in the novel leaving the rest of the novel to entertain theories of punishment. Discuss the different forms of punishment and the concepts of law present in the novel. 1) Raskolnikov, Luzhin, Svidrigaïlov, Zametov, Marmeladov and Razhumikin have some symbolic meanings in their last names. For every Russian reader it is the obvious fact; however, in translation the meaning of names becomes lost. 2) The story of Marmeladov�s family came from the other Dostoevsky�s novel The Drunkards, which the writer had never finished. Instead of turning the story into the complete literary work, Dostoevsky put it in the plot of Crime and Punishment. 3) The character of Raskolnikov could be compared to other characters in Russian literature of that time. These heroes of Romantic era often possessed the qualities of revolt, cynicism and moral flaw in intelligent and attractive light. The critics created a name for such type of literary character, superfluous person. The examples of these heroes are Pushkin�s Yevgeniy Onegin and Lermontov�s Pechorin (Hero of Our Time). 4) Russian word for �crime� is �prestuplenie� which in direct translation means �stepping over�. �Stepping over the line� is also one of the phrases used by Raskolnikov in his �Louse or Napoleon� theory. 5) The murder weapon in the novel is an axe, a tool so often associated with Russian peasantry. It also carries the connotations of peasant unrest. However, Porfiry, is not deluded by the traditional weapon of a peasant and dismisses two painters from the list of suspects. Instead the �axe� is used in his conversation with Raskolnikov as a double edged metaphor.